Roman copy of Greek statue by Pyrrhos of the school of Pheidias C5th B.C. 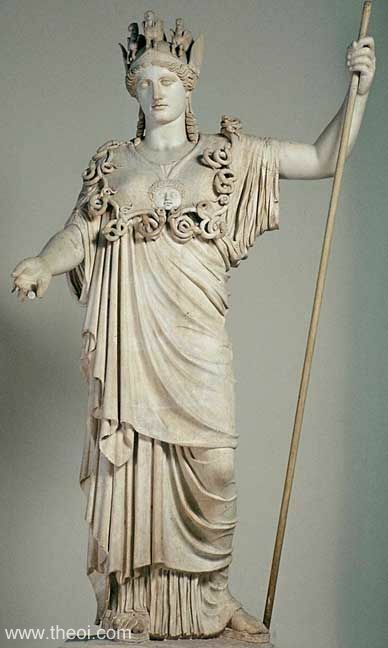 The goddess Athena stands holding a spear in her hand. She wears a helm decorated with fabulous beasts, a floor-length robe and serpent-trimmed aegis cloak emblazoned with the head of Medusa.